Zack Teibloom accepted KUT's challenge to try to eat and drink for free for 48 hours during SXSW. 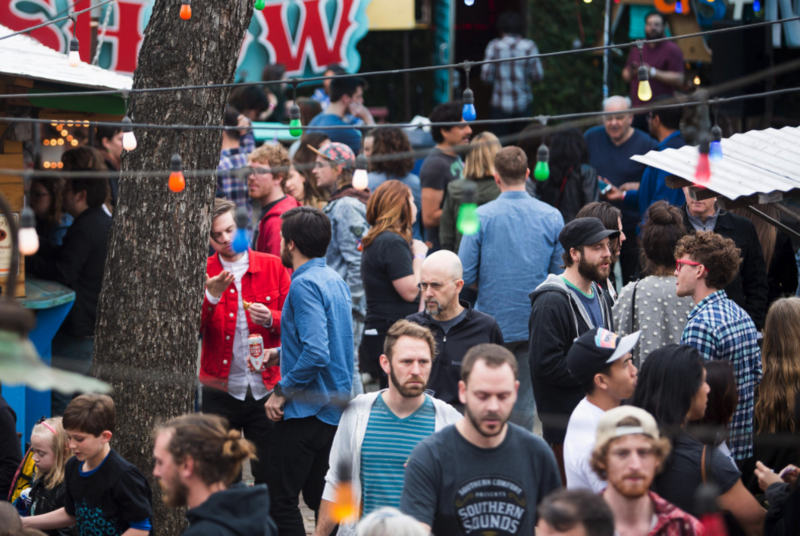 For some local festivalgoers, South By Southwest means more than just music, movies or tech; it means finding as much free food and drink as you possibly can. But just how far can you take it? And is it worth it? It’s a challenge I put to Twitter earlier this month, and one local man was willing to find out. Enter: 32-year-old Austinite Zack Teibloom. His mission was simple: Take advantage of the corporate parties and sponsored events to eat and drink without paying for a full 48 hours. It turns out, he's a pro at this kind of thing. 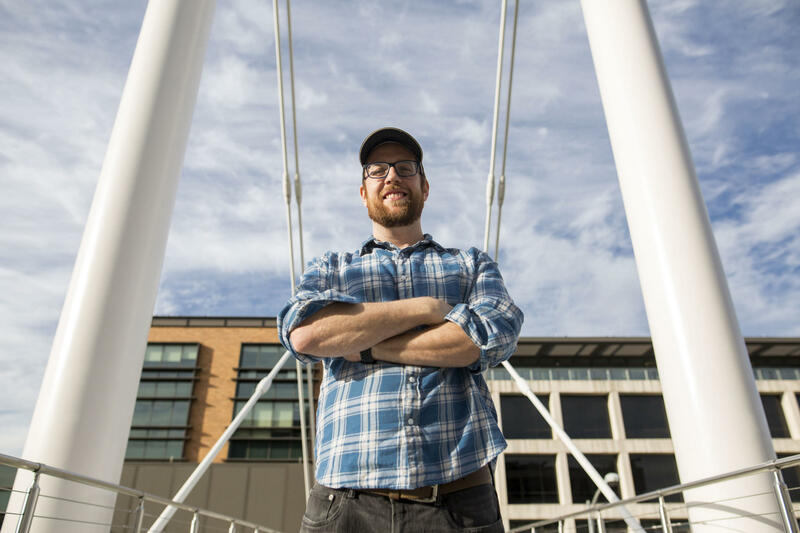 Zack and a friend used to run (and now occasionally update) the site Festival Crashers, where they detail adventures going to shows and festivals on the cheap. He figured the interactive portion of the festival, when there are the most sponsored parties, was his best chance at success. But there were a couple caveats. He could, if necessary, buy water. We didn’t want him to risk dehydration. And he could carry a stack of $1 bills to tip bartenders. Because, come on. Before his mission started, Zack outlined his tips for a successful festival crash. Stay connected on social media to keep track of what’s going on. He uses GroupMe, Twitter and texts to stay in the loop. Bring a bike to move faster. With that, he put on some comfortable shoes and he was off. First stop: Off the ‘Deep End’ at the Vox party. Friday morning did not bode well for Teibloom. He didn’t find much when it came to nourishment and hydration at Vox Media’s “Deep End” party. In voice memos he made to track his progress, he reported that the line was too long for some “tempura stuff” at this first party, so he made due with some of the lower hanging fruit, paring white chocolate Twix bars with vodka. “I haven’t had any food here really,” Zack said. So he decided to “make it a vodka day,” since there was a lot of vodka there. Things picked up at his second stop, the Mashable House, but only because there was a puppy named Sneezy. Still, Zack reported very little food. It was at this point I decided to meet up with Zack. When I got downtown, he had made his way to a party called “The Food Effect” sponsored by Land O’ Lakes. “Because everyone wants butter at South By Southwest,” he joked. We each grabbed a complimentary beer, but there was no food ­– not even butter. So, we headed off on a bike ride to find him some food. Fourth Stop: Ready, Player One? No food here. I lost Zack in the line and by the time I got a complimentary drink at the event promoting the new film Ready Player One, he had already left to look for food. He did, however, find a replica of the DeLorean from Back to the Future. I caught up with Zack at an event sponsored by Fox Sports. I assumed there might be chicken wings. Instead, it offered an open bar and free spray-on tattoos. No food. By this time I was beginning to worry, but Zack seemed to have found his groove again. My phone had died and I had left by this time, but Zack went back to the Vox party and (again) found no food. But, he wouldn't have to wait long. Zack spent the rest of Friday night drinking water (and a Soylent) and listening to a live podcast taping. Saturday, Zack soldiered on without me. He got a free apple, some free tacos and even a free lunch. When it was all over, we met again to go over Zack’s crazy 48 hours. He says Saturday was better than Friday – a lot better. He was offered so much food, that it got to the point where he had to turn it away. He said he did it so he wouldn’t be cranky driving to a free-food event with his wife, an understandable precaution after what he had been through the night before. But, he added, the only thing he plans on doing for free for the rest of the festival is listening to music. 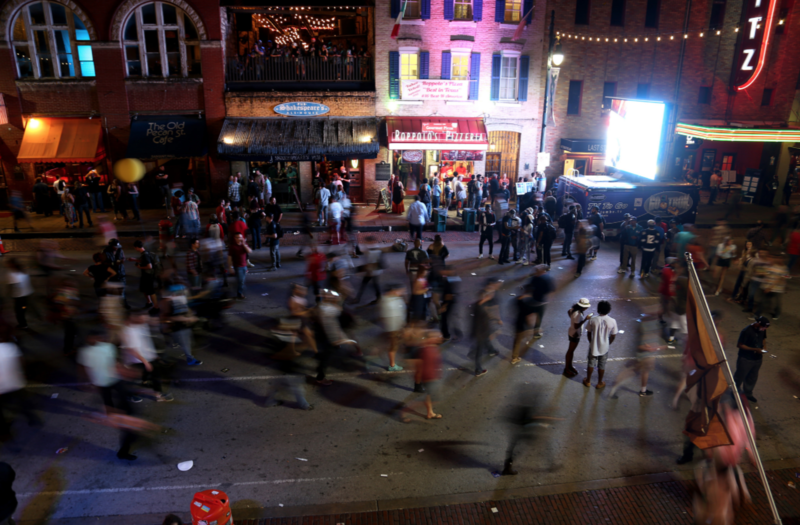 As SXSW Music Begins, What Can Organizers Do To Prevent Sexual Assault At Festivals? To stay safe at music festivals, Liliana Díaz and her friends question one another – constantly. “Like, ‘Who’s she’s talking to? Who is that? Did she just meet him?… Hey do we know him? Do we not know him? '” 22-year-old Díaz said Saturday as she wandered around a SXSW party hosted by the Austin-based dating app Bumble. State-sponsored film incentives are a big driver of the entertainment industry these days. States like Georgia and Louisiana have beefed up their programs, luring big projects away from states that have curbed their programs – like Texas. SXSW is in full swing. And, amid the glut of free swag, wristband-only shows and viral experiential brand activations, there are hundreds of panels with pretty unbelievable names. Take the quiz below to see if you can spot which ones are fake and which ones are real. One of two direct flights from Stockholm is landing in Austin today. 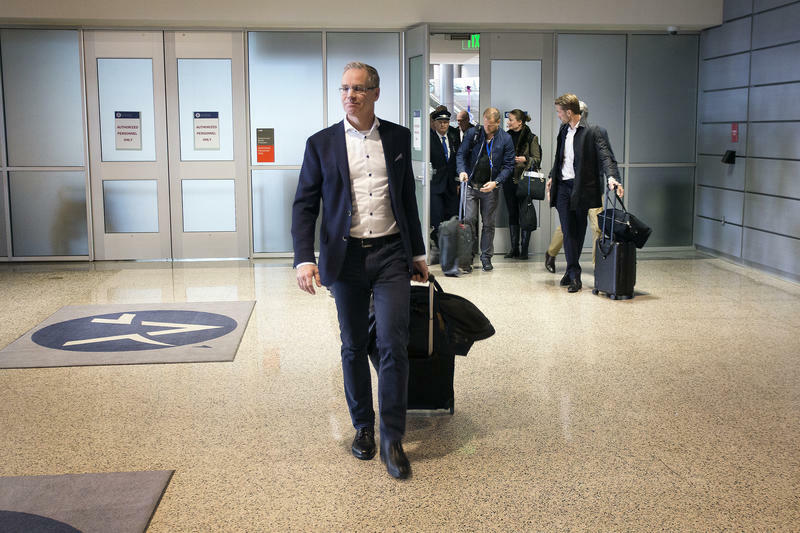 SAS, a Scandinavian airline, has found that South by Southwest is so popular back home that it decided to start flying people nonstop to Austin just for the festival.